This product's working voltage is 12V to 24V. When the product is working, it will become slight hot, or when the car starts, it will pause or/restart, which are normal phenomena, please be assured use. 1. if all the lights are not bright, please check whether the product's power switch is on,whether the vehicle power supply is on, whether the protective tube is damaged, and whether the cigarette lighter is well connected with the main engine. This device is a bluetooth MP3 player developed for car-used,which equipped with professional high-performance Bluetooth module and MPS decoder chip. 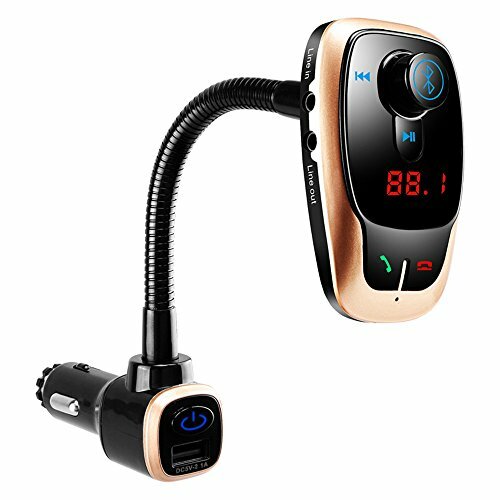 It can transmit your mobile phone's music to car stereo via Bluetooth. It can also be used as a hand-free car kit during driving. This device transmits signal by wireledd method,no need to modify anything in car.It can be used both as the music player in entertainment purpose or hand-freee car kit in safety purpose during driving. If you have any questions about this product by Belively, contact us by completing and submitting the form below. If you are looking for a specif part number, please include it with your message.